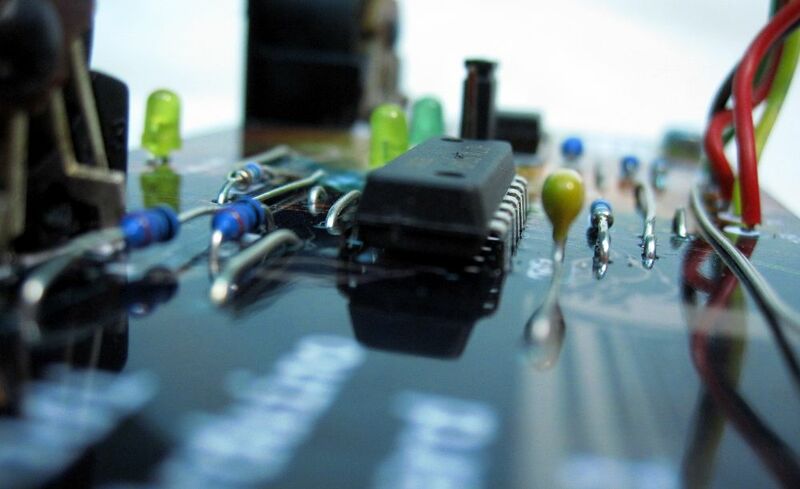 Paper-PCBs are PCBs based on paper print outs combined with standart protoboards (copper strip boards). These boards are a fantastic way for rapid prototyping, easy to make and easy to modifier. That site is a sideproject of the artist Wolfgang Spahn. All boards are developed for and used in his art work, performances and installations. The Paper Synthesizers are developed in collaboration with Antti Pussinen. Here are all kind of boards and clones based on the Arduino. Paper Synthesizer is a modular environment to sculpt electricity into waveforms. Paper Bits is a small modular analog synthesizer. An electronic analog arificial network. A stack able electronic analog computation system. Here you'll find all kind of boards (Hats)for the Raspberry Pi. Here one find all kind of AVR programmer and manuals. Here you find boards and shields for the Arduino or your Paperduino. All kind of sound and Midi boards. All these boards are in an early development stage.